Since Blizzard have a clear premise that 2012 is a key year for all the worshipers of the franchise's most anticipated role-playing: Diablo III is finally finished and ready for sale next May 15. And as you'd expect to exit this level, numerous events have been happening for attracting consumers go to the PC. Since the announcement out, there have been invitations for a closed beta and has even given way to a weekend of open beta two weeks ago (which attracted so many people who assumed several system crashes). With the proximity of the target date, Blizzard has the consumer with all your senses on him, simply carefully prepared his trap master and wait for your helpless victim falls prey consumerist hype and what would be better to trap the exit the first television spot for Diablo III? The truth is that has it all, drums, effects, text read slowly moving forward, Tyrael, etc.. A gallery of items that lie ahead with your purchase, purchase various means: we can buy it digitally from their website (we can even book it), buy the typical physical release in specialty stores and even get a gift for all users the World of Warcraft who have purchased an annual pass . No friends, no illusions. Nintendo has not yet announced plans for a HD version of Super Nintendo StarFox (Starwing in Europe) for future console, the Wii U . However, a Youtube user nicknamed Rickonami decided to imagine how it would be if this wonderful game is adapted to high definition and reflected in a 4-minute video he shared with us all. For those who do not remember or have not seen the original intro, I recommend you see the first video and then uploaded to the highest definition possible second. I'm sure if they played StarFox be wishing with all his heart that people see this video Nintendo and be inspired to give all gamers an updated version on their next console. Tomorrow marks the day of work in several countries of the world and many will not rest, because if you're bored and want to do something different you can make a Super Mario Paper to move (mechanical). According to what has been discovered by a user of the forums of Bethesda 's first DLC Skyrim will focus on snow elves and crossbows and more. The user nicknamed Karellan found several files in the folders added in the last patch with several key terms such as "snow elves" (snow elves), "Snow Elf Prince" (Prince snow elf) and several animations crossbows. Other possibilities that are revealed by analyzing the files is that the DLC add new animations of vampires feeding. Those who do not know what a snow elf, please contact the Wiki Skyrim , which states that these elves were once a proud race and formed a prosperous society but were driven off their land by the Nords, human high-rise and high resistance to cold. Meanwhile the Elf Prince was a character who led the fight to race against the Nords just mentioned, but were massacred in battle. While Skyrim contains several types of arcs, so far does not include any kind of crossbow, a weapon that can be extremely useful for eliminating enemies at great distances from silently, which can be key in certain complex missions. It is likely to include some new stealth missions to use these weapons in concrete. On April 26 Bethesda reported that the first DLC Skyrim could be officially announced next week and will be exclusive to Xbox 360 during the first 30 days. The new Assassin's Creed III returns to the spotlight. After a few weeks of respite, Ubisoft returns to talk about his big bet for this year, which show that his saga of Murderers can also run away from Europe and the medieval Middle East. A few others will not like the change, while for many is a breath of fresh air to the franchise. Either way, the truth is that all of them try again. Alex Hutchinson, creative director of the game, spoke in a recent interview to digital Ausgamers about some of the progress made, and also unveiled new details about this new installment in the acclaimed Ubisoft franchise, which will be led by John Connor. 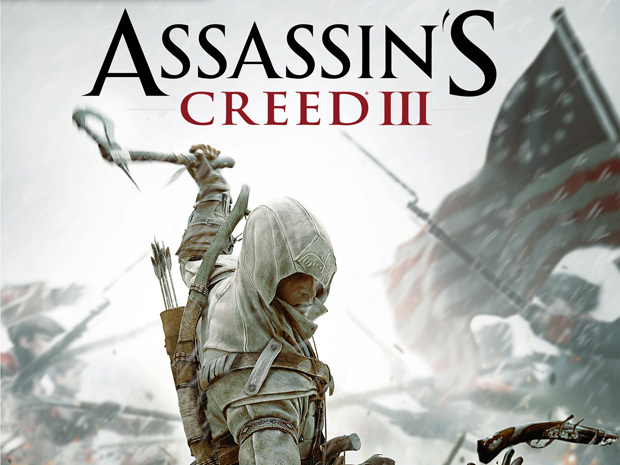 Hutchinson was keen to stress the great improvement in artificial intelligence that will Assassin's Creed III with respect to previous deliveries. "The biggest additions allow individuals from the crowds are attracted to certain areas or interactions, and then let those things and start another action sequence. You will not see people still staying in a conversation for hours. At some point follow their path. " In addition, players can hunt animals. The aim of Hutchinson is that the goal of full player in the role of hunter, who use tactics and strategies to stalk and hunt prey, and not only seek to shoot. Some species will find them touring the mapping, but others are hidden and must strive to find them. "In addition to rediscover the great crowds already seen in the series in this new iteration adds a new element, the animals that we see outside the cities, 'the animals are the multitudes of the wilderness. Players can hunt the animals, but we want players to feel the immersion time of chase and catch them. We want people to see a few species sailing around the world, but to see many more the player must use tactics and strategies to find and kill them. Somehow, we want players to slay the animals rather than just shoot them. Depending on how we behave when hunting will be rewarded, for example if we do particularly well is' give us access to previously inaccessible area where we can join a hunting club and receive a handful of new challenges and rewards " . In these statements we can see the interest from developers for trying to improve the gaming experience of one of the most anticipated titles of this generation and the next because we know that is confirmido the U Wii launch . 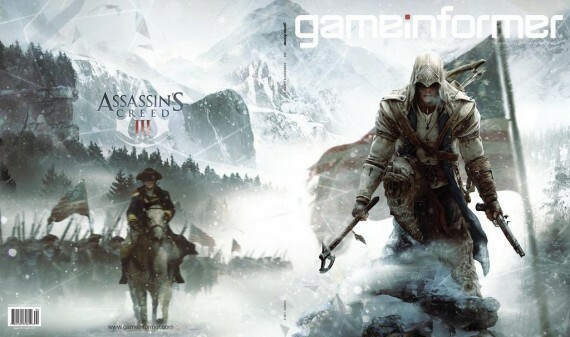 Assassin's Creed 3 will be available October 31 on PlayStation 3, Xbox 360 and PC. No one knows the release date for Nintendo's console, but hopefully at E3 resolve this doubt and emergence of new details about the game. How the Prince of Persia was made? Prince of Persia was one of the best games I played as a child, combined action, the challenges, tricks to discover, had it all. That's why I made ​​a small article when the creator of Prince of Persia had raised the original code to the Internet . Now I see another pleasant surprise is that in an article by The Verge , the creator Jordan Mechner was counted as the realization of his game.Also his Dad made the music. In the video look like Jordan used his brother to create the game, to the scenes and then he created them pixel by pixel, but that hard work paid off, an excellent game. There have been some rumors about the next generation of consoles indicate that companies have considered eliminating physical media for distribution of games , advocándose in place by the use of online downloads and steaming. Many believe that the world is not ready for that step technological, but that does not mean that some are not preparing the way. Nintendo wants to provide the best of both worlds and has announced that apart from the traditional sale of games in its physical form, they will also be available digitally for all Wii titles U. In principle, starting with this software [the release of Super Mario Bros 2 for 3DS], the company will offer software that Nintendo published titles in both physical format and in digital download for our customers choose how they want to buy. U Wii, digital downloads will begin [...] so that our consumers can choose either the physical version or the digital download the same software from the first day of release of U Wii. Most likely that selling digital copies are made ​​at retail through coded cards similar to using iTunes or registration cards for Xbox Live Gold, apart of course they will have an online catalog for able to perform the download directly. The first way would be ideal for those without a credit card, or will not use it. What is also interesting is that retailers will have the opportunity to apply their own price digital download cards, which could mean savings for the buyer (although price increases could occur). While some would prefer the convenience of getting a degree without leaving home, there are those who love the smell of new plastic when you operate a newly purchased game, and I'm glad that Nintendo give us both. Today came the trailer for Raymand Legends, a game for the new console Nintendo , the Wii U . This game looks good does not come just because it has attracted attention is that shown in part, as will the gameplay in the new Nintendo console. For U Wii will come with a remote that has a touch screen, the screen that we all thought he would serve only to see the game you will also apparently be able to interact with other objects, such as putting a heart on the tablet will begin falling hearts in the game. They will also be other characters and the end leaves a surprise. The video that looks great by the improvement in graphics, hopefully not another Wii at the time seemed very new but after a while it looked a lot not served and although it improved over time, but I apparently it was too late. Do not miss the video. VIDEO Sony makes its own "Super Smash Bros."
Sony makes its own "Super Smash Bros."
For some time, Sony has been looking for new ideas and projects for a new blockbuster title, over time, began to reveal small rumors that a game with all players in their exclusive licenses. But not until today when it unveils the title All-Star Playstation Battle Royale and its main features. Another highlight are the great scenes in motion, loaded with thousands of details of other titles, as a creation screen in Little Big Planet level, a direct Buzz contest and even a battle in hell while dodged the blows of Hades himself. 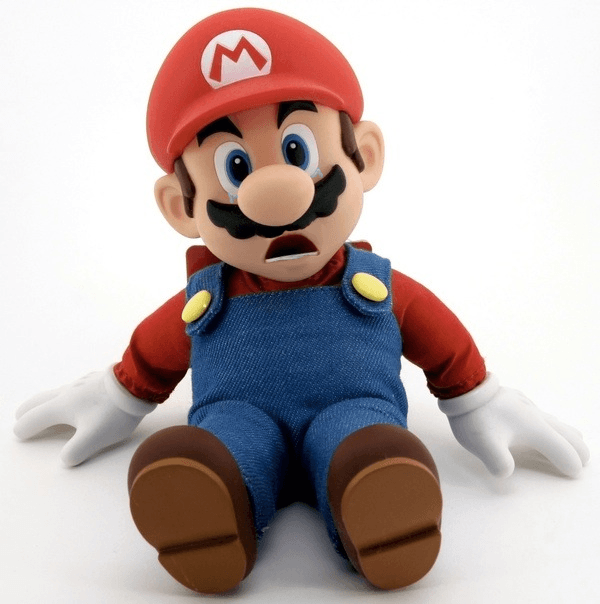 Nintendo , the company that once was at the top of the game industry and technological advancement has brought something that we thought we saw some years ago: For the first time ever closes its fiscal year with losses. The red numbers are attributed to the Nintendo 3DS was less successful than anticipated (even if it takes the lead in PS Vita) and has been selling below their cost of production, apart from the weakening of the Euro against the Yen. The losses climb to 37.3 billion yen (approximately $ 460 million) with sales falling to 36.2% over the previous period. The 3DS has sold about 13.35 million units worldwide and games purchased reached the amount of 36 million copies. Meanwhile the DS and Wii sales were also down compared to years past. But Nintendo hopes to recover thanks to the 3DS will be sold at a competitive price since September 2012, and above all, to expect a good response from buyers when the expected U Wii goes on sale to later this year. Hopefully the rumors about the Wii's underpowered U do not affect these predictions and in its place, there are those who are interested in new technology features (such as control tablet) that Nintendo intends for its new console. Play Call of Duty: Modern Warfare 3 free for a few days, hurry!! It is true that Call of Duty: Modern Warfare 3 has time to hit the market and with more than 9 million copies sold, half the world may already have at least tried the game, but if not, here is an opportunity CoD experience for those looking for a few days free. Activision available to all holders of a PC Call of Duty: Modern Warfare 3 to experience it for free via the service Steam as of today April 26 until next Monday, but the test is only available for the multi-player portion. This may be a movement from Activision to attract new buyers and not allowing large game sales fall, as reports indicate that they are down 4.2% compared to last year, though I seem to have that complain, especially when CoD: MW3 has raised more than $ 100 million in revenue. If you are the people in his time could not be completed Super Mario Bros or may not lend him much attention at the time, for then Super Mario Summary is an excellent alternative for terminating you one of the best games of histora platform. This is a version where each level is summarized in a single screen, and in a few minutes you'll be able to finish it. The people at Rockstar informed about the requirements that have the PC version of Max Payne 3, which was developed in parallel with the console versions of the game. Reportedly the game supports DirectX 11 and includes tiling, and a number of additional advanced graphics options and ensures that is optimized to run on a wide range of PC configurations. For more information on the requirements and general compatibility issues you should visit www.rockstargames.com / support . Some system components of mobile devices, integrated AGP graphics card and may be incompatible. Specifications not listed may not be supported by the publisher. As we see the minimum requirements are quite reasonable for any PC gamer worth his salt, perhaps the most surprising are the 35 GB (35!) Hard disk, similar to what we require only the MMORPG type games. We just hope the game is really optimized and no matter what happened with the PC version of GTA IV, which not only required about 16 GB of disk and was full of bugs at launch but they also need a tremendous processor and a monstrous video card, running machines still present problems if one wants to put all the graphics to the fullest. Max Payne 3 for PC will be available on May 29 in North America and in Europe on June 1. Currently you can pre-order on Steam for 44.99 and get free Max Payne 1 and 2, and various DLC including the "Classic Multiplayer Character Pack "and" Max Payne Retro Avatar "among others. Zynga continues to focus on casual titles, and very social to social networks like Facebook and Google +, which recently received Slingo, its particular Bingo game very interesting changes. The most remarkable of all is, undoubtedly, the mix of bingo and slot machine that makes the game mechanics, a very curious that we spend what we do well alone or with in multiplayer games. No need for Slingo game manuals or any skill, any social network user can play, since the goal is as simple as singing a vertical, horizontal or vertical line bet complete our cartons, with the help of numbers that appear each time spend a ball. These cartons may have listed 25 issues that have to be removed before they sell out our rolls available if we get a good sum of money. During the first steps of the game will be accompanied by a guided tutorial that little by little, we will sell off all the game options. At first look only straight lines of winning combinations, either by ourselves or by inviting friends, but more We shall have to get forms or figures asked for a game. Chance and luck are the key factors to make money and continue to invest in new cartons. If after spending all our opportunities to get numbers we have not completed the goals, we can always buy extra balls to win new opportunities and complete the board. The balls have a reduced price, but may not always be used. In addition we also have other options like balls of energy, most likely to get what we get, but that will require energy points needed to play more cards and that is regenerated every few minutes. Each card has a cost of ten energy points, and our initial maximum is 30, which could increase further with the help of extra desbloqueemos after each phase of play. Not to miss things like achievements and record with the highest scores among our friends. This increases the competition between our popular social networking and always look for the perfect game in each of the levels of the game. The game speed is another important factor, because if we can find the numbers quickly, we get a score multiplier that will win many more points. The game is way of the 20 million users, is that its simplicity makes the game is available to any player, from the casual to the most classic of all. Also it is not necessary to play continuously, much time, so that we can always open it in a while and play some board, thanks to the game loading time is very small. By paying your annual pass to World of Warcraft, Diablo III Blizzard gives you apart from other advantages. Blizzard already has a time offering his annual subscription to WoW, which comes with the usual and unique advantages as a saddle: the Destrero of Tyrael -successor to the heavenly steed, which, despite being linked with the mythology of Diablo, will be available World of Warcraft immediately after payment of the pass. But aside from getting a great horse for each of the characters in WoW and future battlenet associated with your account, those who purchase the pass may be eligible for future betas Mists of Pandaria as happened, but above all, get a digital copy Diablo III for free. This offer is available only until 30 April, so if you're interested, some days they still have yet to take advantage of the offer. Diablo III, one of the RPG 's most anticipated action for several years now, will be released on May 15, 2012. There are still no confirmed date for the launch of Mists of Pandaria. Diablo III is under the "pay once" and requires no subscription to play. So as you receive it free with this promotion, your license is acquired. New Super Mario Bros 2 for 3DS confirmed!! Nintendo announced that the classic 2D platformer New Super Mario Bros 2 will be released in August for the 3DS in the U.S. and Japan, and posted a picture on his Twitter account that we can see illustrating this note, but did not give a specific date for the American and European launch. As stated on Saturday Satoru Iwata, president of the large N, through a webcast the game has been "created specifically as a pick up and play experience (pick-up and play) so you can be instantly enjoyed for players of all skill levels "and contain" Mario, Luigi and all your favorite characters from the series. " Iwata also confirmed the inclusion of Mario raccoon suit, also known as "Tanooki Suit" which allows you to fly in a 2D Mario game for the first time since the classic "Super Mario Bros 3" for NES. As can be seen in the images does not vary too much from their ancestors appeared on DS and Wii, which seems to be clearly the idea. Remember that the DS version released in mid-2006, it sold a staggering 18 million copies and the Wii version only sold 10 million in the first 8 weeks of its release. 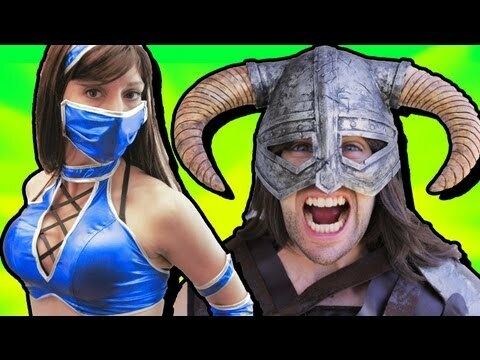 Play This: Super Monday Night Combat FREE!! If you need a break from Diablo 3 Beta ,I recommend you try Super Monday Night Combat, recently released on Thursday. This is a first person shooter with great emphasis on teamwork. If Team Fortress 2 have been tried in the past ( also free ) and DOTA, then you will understand a little of what's going on. The curious , is that the game is available now for a mistake of the developers, who had some problems when distributing codes. At the end? They decided to just throw it for everyone. And unlike the previous game, Monday Night Combat, Super MNC is free ! The game takes place in a third-person perspective. And much like TF2, we have different kinds of characters, with several objectives to complete that look like the ever popular DOTA or Defense of The Ancients. Konami is already preparing a new edition of its popular football simulation. After announcing the imminent presentation of sports game, the Japanese company has released the first teaser trailer for Pro Evolution Soccer 2013 . “Talk is cheap. What matters is what happens in the field. " This video has no picture of the game, but announced that the first contact with it will be next April 24, the day Konami will present the full trailer, which will surely be revealed all the new features included in this release . From current trends, the game would be around September and platform, including laptops. We'll see if at last reverts to the simulator that was years ago.As has recently ceded his throne in favor of the FIFA franchise. Kratos, the ruthless Spartan warrior, returns to PlayStation ® 3 (PS3 ™) with a new epic adventure. God of War: Ascension ™ is the new project he is working as Santa Monica Studios. Through this new episode, the player will discover the origins of Kratos on a mission to get legendary freedom. Thus, we conclude that the story does not continue after the third game, instead, will be a prequel, as stated in the teaser, where you will discover the torment of Kratos from the beginning before becoming god of war. Todd Papy is the director of this title to be given more details on April 30 and rumored to be slated for release in 2013, according to a leak on Amazon, of which we will inform you in detail on Joystiq. So you know Kratos will make an appearance on Playstation3 ! Start the hype thermometer, speaking of Sony Santa Monica, is synonymous with quality titles. Upon its release on PC, The Witcher 2 generated some comments revolved around the high sexual content, fueling the controversy among netizens. The Witcher 2, like his first game is based on the books of Polish writer Andrzej Sapkowski. Thus, CD Projekt, makers of the game, have decided to keep the adult tone of the novels, directing the title to a wider audience. According to a rumor posted on the page Cult of Mac, Apple would be trying to return to the video game market as it would be working on a home console with a help of people from Valve. As reported by this site Tim Cook, Apple's CEO, visited the Valve offices located in Bellevue, Washington last week. The reason for this visit would be that Cook is looking for advice to launch a TV device to be launched later this year under the Apple brand and would be a "game console type Kinect .According to the news system would be based on touch and motion controls, possibly via a touch screen that would come with the TV and is supplemented by the use of voice controls Siri style. These rumors are in addition to reports that Valve is trying to enter the console market, after the company posted a job on your site looking for hardware engineers. According to the announcement Valve is looking to create "fully play experiences new ", and we have also reported the company attempts to investigate the field of augmented reality and computers to clothing. Nor Valve or Apple or have confirmed these rumors so far. This would not be Apple's first attempt to enter the market for video game consoles. The company teamed up in 1995 to launch Bandai Pippin, a multimedia console based on the Macintosh operating system including Internet connection, something totally innovative for its time. However, the system was a complete failure as due to its high cost (600 dollars) less than 50,000 units sold so Bandai decided to withdraw from the market. But Pippin had one merit: it ranked 22 in the list of "worst tech products of history" of the magazine PC World. Looking for be ranked 21?? After the good response to previous applications at the launch of PS Vita . Sony has announced via its official blog three new free applications that will help further leverage the unique capabilities of the portable system. The first one will be available for download this week: called Paint Park, which become system touch screen in a blank canvas to unleash our inner artist. The work that we draw, or simply using a pen garabateemos neutral background or a photo we make. This app also has aspects of social connectedness, as users can share their artwork and even compete with up to five friends in online multiplayer mode via Ad Hoc. Later, and in summer, Sony will release Treasury Square, an app that will allow us to create your own puzzles and challenge other users. Where we can use the 'near' and the 3G connection to search puzzles to play them and share them anywhere. Finally, the third application will be Wake Up Club, which will make the Sony handheld in an alarm clock can also synchronize with other users Vitas having set his alarm for the same time as us. Monkeys are able to play Angry birds. 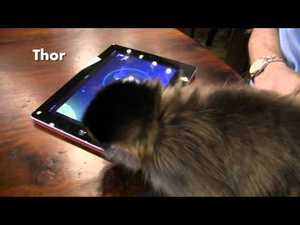 Sasha and Thor are two capuchin monkeys showing a YouTube video that even the simplest mind can pick up the mechanics of the game Rovio: drag the bird in the slingshot and launch. Someone in the furniture store Gallery Furniture in Houston, Texas (USA), has left an iPad 3 apes to prove their expertise in Angry Birds Space. The truth is that the two dominant enough mechanics and even Thor gets three stars on one level. The people of Gallery Furniture has seen this as a promotional strategy and encourage people to visit to see the video to see it live. Nintendo did not stop working even one month of the year. 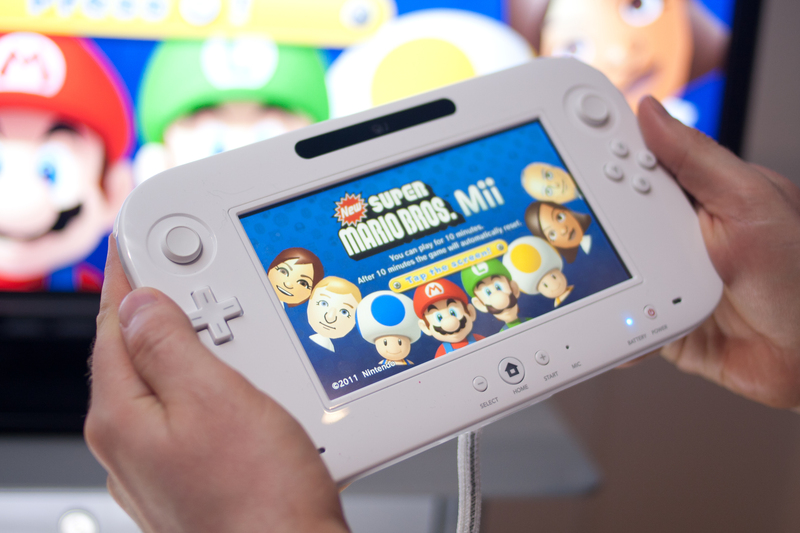 After a year with the public entirely dedicated to the launch of Nintendo 3DS, Nippon in the company have been using the time also in the development of its new home console Wii U . What we hope to launch that machine later this year? Well of course a good portion of games that push us to buy it, and what better for that than a good game of Mario. 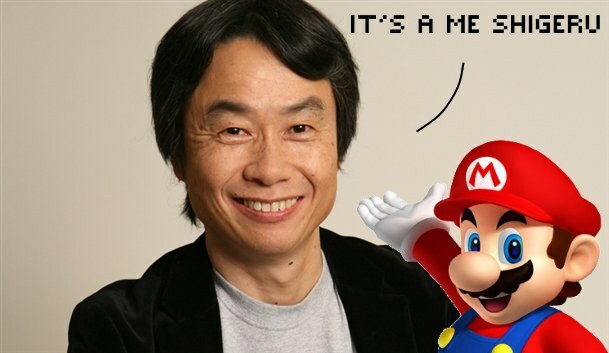 That's exactly what has hinted Miyamoto in recent interviews, is that according to the Japanese genius at E3 we find a new Super Mario Bros. for Wii U . In addition to this we know that there are developing another title on the plumber to 3DS and Shigeru Miyamoto himself working on a new title . So we can certainly be in luck because the company is carrying wood for the engine that we stop having fun with their work. Wanting to see what we prepare for E3!